The US Centers for Disease Control and Prevention (CDC) considers sleep insufficiency a major public health problem. People nodding off while performing daily tasks has been linked to motor vehicle crashes, medical errors and industrial disasters. People who do not get sufficient sleep are more likely to suffer from chronic diseases such as high blood pressure (hypertension), diabetes, depression and obesity, as well as cancer, increased mortality, and reduced quality of life and productivity. Insomnia and obstructive sleep apnea are two major culprits, according to the CDC. Between 50 and 70 million US adults are believed to have a sleep or wakefulness disorder. At Manatee Memorial Hospital, our physicians focus on diagnosing and treating sleep disorders such as sleep apnea, insomnia and other conditions. Our sleep center follows the American Academy of Sleep Medicine standards. Every aspect of your care is carefully managed using specially-designed software unique to our practice. Manatee Memorial Hospital and SleepWorks, a sleep center organization, are working together to provide advanced technology and treatment to provide patients with sleep disorders a good night's sleep. Your physician can treat problems quickly by seeing real-time results of your sleep study through our private networking software. After your sleep study is completed the results will be sent to your physician. One of the most common sleep disorders is sleep apnea. The National Sleep Foundation estimates that more than 18 million American adults have sleep apnea. Obstructive sleep apnea (OSA) is the most common form. 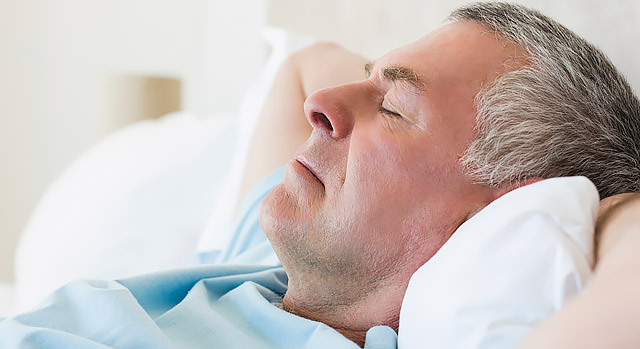 In OSA, breathing is interrupted repeatedly during sleep; this occurs when the muscles in the back of the throat fail to keep the airway open during sleep. The word "apnea" refers to a pause in breathing that lasts at least 10 seconds. Sleep apnea is often accompanied by loud snoring, but not always. Usually, someone suspects they may have sleep apnea either because someone has told them about their snoring; because of daytime drowsiness; or because their bed partner has heard pauses in breathing during sleep that are often accompanied by gasps for breath. Sleep apnea can be dangerous: a combination of disturbed sleep and lack of oxygen (from the airway repeatedly closing throughout sleep) may lead to high blood pressure, heart disease, memory and mood problems. Sleep apnea has also been implicated in many cases of people nodding off and getting into accidents while driving or managing critical tasks. Risk factors for sleep apnea include being over 40, having a large neck (17 inches or greater in a man and 16 inches or greater in a woman), being overweight (even slightly) or having African American, Pacific-Islander or Hispanic heritage, according to the National Sleep Foundation. There is thought to be a genetic component to sleep apnea, as it runs in some families. Smoking and alcohol use also raise the risk of developing OSA. If you are diagnosed with OSA, your doctor will usually recommend the use of a continuous positive airway pressure device (CPAP). CPAP is a mask that is worn during sleep; it fits over the mouth or nose only and blows a gentle, steady stream of air into the airway to help keep it open during sleep. This method of treatment is considered highly effective. Other treatments include dental appliances or surgery. In all cases, doctors will also recommend weight loss if you are overweight, even by a few pounds. Insomnia (difficulty getting to sleep or staying asleep) may have numerous causes; there is often no one reason for insomnia. It may be caused by psychiatric conditions, medical conditions, unhealthy sleep habits, ingested substances (caffeine, alcohol, nicotine, medications), biological factors or some combination of these. Medications, such as those for colds and allergies, asthma, hypertension, heart disease, thyroid disease or depression are well known for contributing to sleep difficulties. We are dedicated to helping you get a good night's sleep—every night. At the Manatee Healthcare System's sleep centers, we are helping to lead the way to a greater understanding of sleep disorders. Getting the right amount of sleep every day is important for your health and function. Chronic sleep deprivation impairs brain function as well as certain physical processes. Even routinely losing just a few hours of sleep per night can impact memory, judgment and concentration over time. Lack of sleep also reduces the body’s ability to process sugars and increases stress hormone levels, which can lead to more serious problems. We'll treat you with compassion, caring and kindness, and you can rely on us to answer every question you ask. A good study of your sleeping patterns requires that you are comfortable, so our sleep study rooms are more like hotel rooms than hospital rooms, complete with big comfortable beds and flat screen TVs. We have decorated them to help you feel comfortable and at home, and a shower is available before or after the study. Wireless Internet access and cable is provided, as is a continental breakfast after you've completed the study. We accept most insurance programs. Regardless of your sleep difficulty, we want you to get the restful, restorative sleep that your mind and body requires. We are a results-oriented center, which is why we offer care that is informed, effective and personalized.